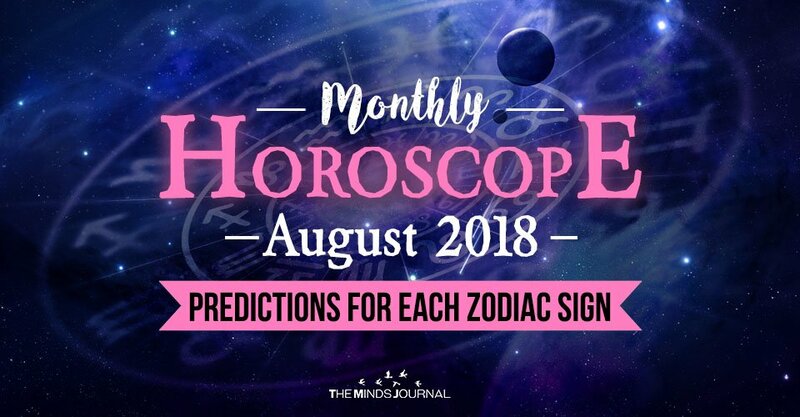 What do stars have planned for you in August 2018? After a long spell in retrograde, Mercury goes Direct on August 16. Mars remains in Taurus till next February and Venus moves from Virgo into Libra on August 17. Jupiter aligns with Saturn, Uranus and Neptune. Not just this, the month of August is packed with planetary changes. Uranus going retrograde can test your patience in matters relating to your love life or finances. However, you can tap into your calmness to find creative solutions to any problems. Stay open minded, grounded and flexible. Tough times can also be a window for breakthrough and fresh starts; it just depends on your perspective. New moon partial Solar Eclipse in Leo is mainly influenced by a conjunction to Mercury Retrograde. The major themes that will be brought out in your life by this eclipse will be thinking, introspection, discussion and debates. There could be disagreements and debates around power or control issues between people. Remain calm and try to have a balanced perspective before jumping guns in arguments. Mercury going direct after a long spell will indicate a sigh of relief for all the zodiac signs. With no fixed star influence the peace loving aspect of Mercury sextile Venus will shine through in this phase. Mercury direct will calm your nerves and open a gateway for relaxed communication and help to solve the problems that might have been caused in your relationships due to miscommunication and anger displayed during the Mercury Retrograde phase. This fun loving and relaxed phase will make it easier for you to express your love and affection. Make the best of this opportunity to express your feelings and resolve any conflicts with your loved ones. Jupiter trine Neptune will bring out the good Samaritan in you and encourage hope, generosity and compassion. It will encourage you to embark on spiritual path whether through dreams or encounters with other people who might act as a catalyst on your spiritual journey. You will be more inclined to live up to your highest moral standards and help the poor or the needy. You may gain more interest in charitable cause, human rights, and environment issues and will extend yourself for causes bigger than yourself. The full moon of August is beautifully symmetrical. It forms a kite pattern. The energy of the full moon along with five other harmonious aspects surrounding this full moon makes this an ideal time to hone your skills and nurture your talents. The August full moon is also in alignment with two powerful and fixed stars. Full moon 2018 will bring amazing opportunities for personal and professional success. So, make the most of this time by reaching for your biggest dreams and highest potential.